The state of Florida has many homeowner’s associations (HOA) and condo associations (COA). These community associations are governing over 2 million homes in the State and are facing new regulations as of July 1, 2018. For any given legal question, an association may need legal help when looking to the Florida Statutes, the Florida Administrative Code, and the Association’s governing documents, as well as a body of ever-changing case law and arbitration decisions set forth by the Department of Business and Professional Regulations. At Anchors Smith Grimsley, our team is experienced in dealing with the concerns of homeowner associations, homeowners being governed by a homeowner’s association, homeowner groups, condominium associations, and owners. We are up to date with the laws and statutes currently governing them. It is often complex, requiring dedication and a good understanding of the laws governing HOAs and COAs. This is true all over Florida, especially in northwest Florida, which is now developing these communities at unprecedented rates. Our Destin homeowner’s association lawyers and condo association lawyers have a multi-level perspective gained from representing homeowners in dispute with their HOA or COA as well as representing HOAs as their corporate counsel and litigator. Our extensive experience representing both associations and homeowners in disputes makes us uniquely qualified to traverse the complex regulations governing specific communities. We help solve legal problems for various associations by focusing on community association law while your board focuses on the community, or by focusing on your concerns as a homeowner in an HOA-run community. Florida Homeowner’s Associations and Condominium Associations are very powerful and often function as quasi-governments. This can be positive, for instance, when an HOA enforces building and aesthetic standards that keep the neighborhood well maintained in accordance with a set of association laws. Problems may arise, however, when a group with a hidden agenda gains control of an HOA board. It may favor some homeowner’s over others or decide not to enforce governing documents that protect specific property interests, such as views. There are times when an HOA will intentionally snare homeowners, for whatever reason, in legal battles that become serious burdens for a homeowner or group of homeowners. We can handle such disputes on behalf of a single homeowner or a group of homeowners. We also handle litigation for HOAs and COAs who may have lawyers who do not litigate in court. There are a number of HOA reforms due to pass into law July 1, 2018. One such bill, house bill 873, has several provisions that directly impact both associations and homeowners. Prohibits an HOA from hiring the same attorney or firm that represents the management of the association. Revises and provides provisions relating to associations including official records, inspection & copying of bylaws & rules, association websites, financial reports, use of association debit card, recall of directors, kickbacks, term limits, conflicts of interest. As various bills associated with HOAs and COAs become law on July 1, 2018, our homeowner’s association attorneys are well-versed in HOA and COA laws and they are here to help with legal advice pertaining to these changes and how best to address them from both perspectives. At Anchors Smith Grimsley, we encourage complete understanding of what is being entered into and signed with respect to real estate transactions involving HOAs and COAs in northwest Florida. These real estate transactions are often complicated, even for experienced real estate professionals. 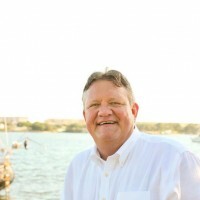 Hiring one of our Destin real estate attorneys will help prevent misunderstandings, regrets and losses down the line. This is true whether you are a developer, an association or a homeowner. Our job is to help associations to develop homeowner’s association laws as well as to educate clients who are buyers into a community with homeowner’s association laws. We see that everyone involved understands the laws at the time of signing, how they can be changed, and their responsibilities. If you are a buyer into an existing community, we can assist you in closing your real estate transaction in the most efficient and effective manner. In the case of a home transaction into a community with an HOA, our attorneys will assist you from contract through closing. We ensure that you understand what you are investing in and that you and your investment are protected. Many of the problems associated with HOAs and COAs boil down to residents buying a home in a community without knowing all the facts. Our legal team makes it their business to educate buyers and to ensure that they understand whether they are buying into a community with a Homeowner’s Association of some sort or not. We provide legal counsel regarding your purchase or development project and are responsible for representing your interests from contract to close. We always try to solve problems that may arise during the process. Our lawyers can save you money by helping you to avoid costly mistakes made from ignorance, and by working hard to keep your real estate transaction moving forward. The transaction side of Anchors Smith Grimsley is complemented by our experienced Destin trial and litigation attorneys who have knowledge and skill in a full range of civil, criminal, probate, and administrative court proceedings. Our goal is to provide you, our client, with prompt, efficient, and cost-effective legal representation in accord with the highest standards of legal excellence. Contact our team today. Our team of experienced lawyers also serve the Fort Walton Beach, Miramar Beach, and Crestview area.